The ice2ice cruise with RV G O Sars is now well into its second week, reports chief scientist Eystein Jansen from the ship. The cruise has the ambition to retrieve sediments that can document abrupt changes in sea ice and ocean circulation along the East Greenland continental margin, both in glacial times and in the more recent past. 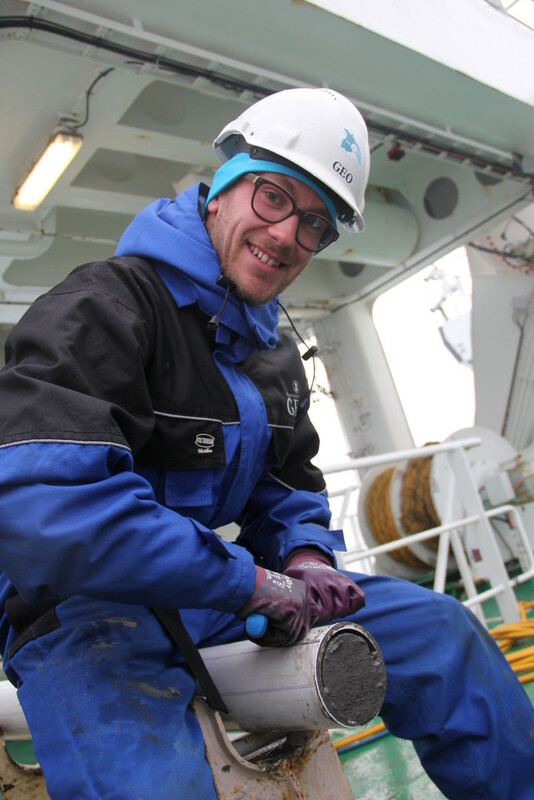 For this purpose a suite of different sediment coring systems are used, bringing up to 20 m long sediment cores containing muddy sediments from the ocean floor to the ship´s deck. A scientific crew of scientists and students, supported by a ship crew of 15 work on 24 hour shifts. On board, all sediment sequences are logged and described so that the science party can get an initial feel for the quality and utility of the samples they retrieve, before they are brought to shore for much more detailed analyses. core was taken earlier this week, south of Scoresby Sund, Greenland. A series of excellent cores have so far been retrieved. Weather has been great so far, and the team can enjoy whale watching and the midnight sun on their watches. They are well catered for by the ship´s steward. The main problem so far is that there is still signifiant sea ice quantities drifting along the coast which makes access to some of the planned sites difficult or impossible. We are, however, quite optimistic that we will end up with very good material for the project reports Jansen from the Greenland Sea.